PlayerUnknown’s BattleGround or PUBG will say goodbye to season 4 today. PUBG Mobile will enter the season 5 and will come bundled with a new 0.10.5 update. The season 5 of PUBG Mobile is expected to bring a whole set of features and game play improvements. It will include brand new content together with new clothes, weaponry, skins, and the much anticipated Zombie mode. With the end of PUBG’s season 4, the rankings of the players will reset and ratings will also drop. Similar things had happened when the season 4 was launched. Several Ace category players could be dropped to the Platinum category from today. 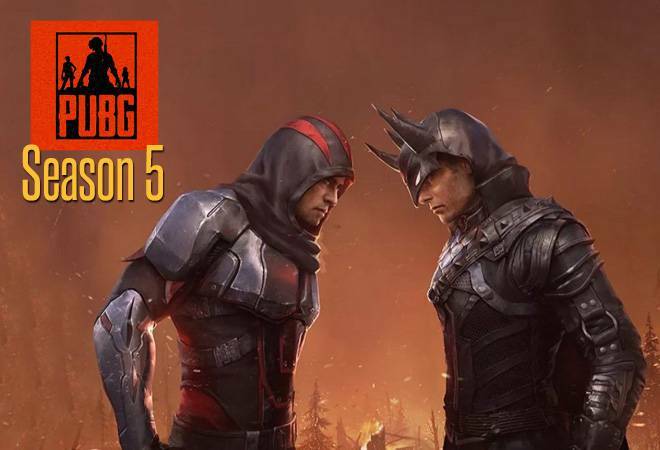 Meanwhile, not much has been revealed by Tencent, the game developer; however, several leaks have surfaced online talking about the updates in the PUBG’s season 5. Here is everything that’s available on the internet about the upcoming PUBG season 5. Zombie Mode: The new Zombie Mode in PUBG Mobile will allow players to go up against 98 different zombies in various gameplay modes. On the other hand, in the Classic mode, players used to either fight alone or with their squads. In the past, we have seen several shooting games featuring a zombie-killing mode. The zombie mode could be restricted to a smaller version of the Erangel map to keep the gameplay fast-paced. Apocalypse Theme: PUBG season 5 is expected to have a brand new theme. PUBG season 4 had a white winter theme to go with the Vikendi snow map update. As per the report, Season 5 of PUBG could have a fire filled apocalypse theme that will supplement the Zombie mode. There are several outfits and frills that showcase the fire pattern of new season. Brand new outfits: The new outfits are on the expected lines. Winter theme in the Vikendi update had white costumes, warm clothing and jackets. The fire filled apocalypse theme would come with dresses that will match the fire theme of the season. New Skins: PUBG Season 5 is expected to bring new skins for guns in the gameplay. This can include black and white dragon skin for the Kar98k, gold skin for the AKM and UMP etc. New vehicle skins are also expected like an ice cream truck for the Volkswagen van, along with Mad-Max inspired skin for the Dacia. New Weapons: PUBG won’t be complete without weapons and Season 5 of the game is bringing more weapons. G36C Submachinegun and PP-19 Bizon SMG are expected to be a part of the new season. The new MK47 Assault rifle is also expected to be launched with the new season. New voices: The Season 5 of PUBG would bring back classic voices. Chances are that PUBG will also have old voice in the quick chat messages.